Progress has been made. I also seem to have a problem with my lens. I’ll clean it, but there is much to do today so I apologize that you have to suffer thru these rubbish photos for the moment. 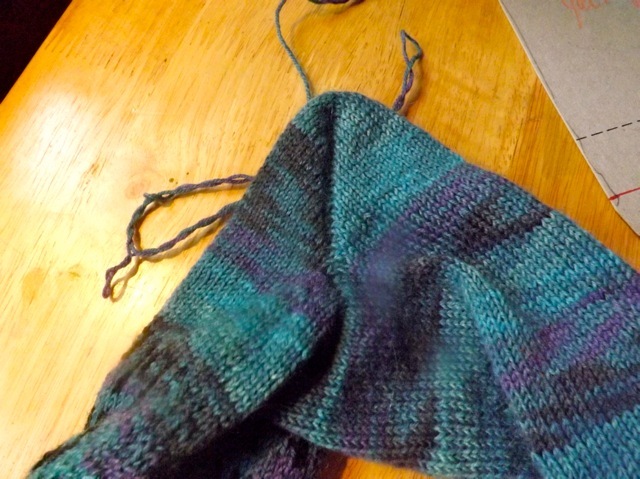 I got sock one mostly done, and even though I could see the stranding across the magic loop was pretty bad, I was so close to being done I wanted to see how it would look before I ripped it back. I have an idea to try and will do so with sock 2. But over all I like how the words fit the space, I think they are marginally more readable in the more solid blue areas so might consider breaking the yarn and creating a larger block of blue for the words. Not sure. 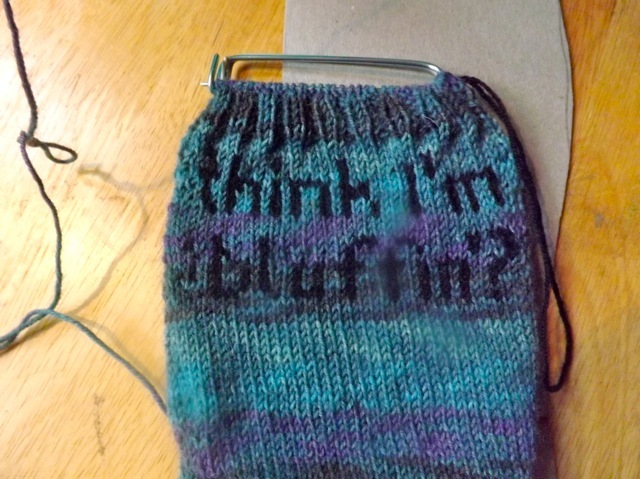 I also think I need a bit more solid knitting between the top of the text and the ribbing. I think the Fish Lip Kiss heel is fab in the way it fits and the ease of knitting it. It LOOKS a bit funny not on but oh my does it hug my heel beautifully. And therein lies the problem – DS’s foot is at least 3 sizes bigger than mine. 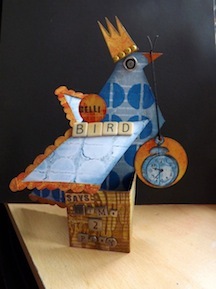 I used the cardboard template that I created while he was here to size the sock. Yet it fits ME perfectly so HAS to be too small for him, right? I mean there is ease and then there is EASE. It might be there is nothing for it but to wait for him to be here so I can see it on. Which means putting it away for now. I may have a go at the duplicate stitch part before I frog it. Might as well…. 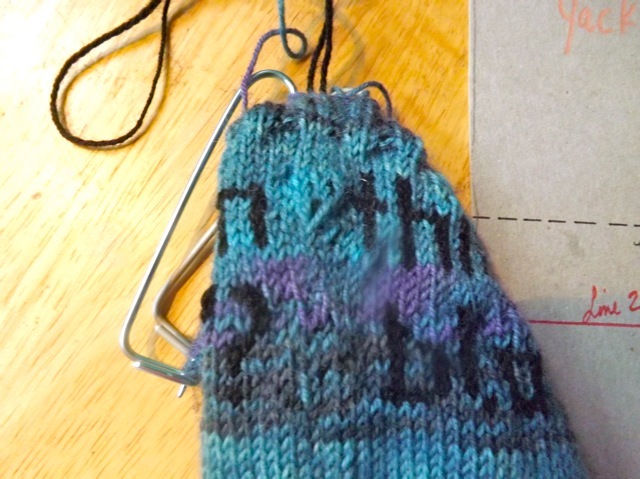 ooh, your foray into socks is interesting-especially the idea of script on them! My cousins wife (eden yarns on my FB) knits a lot of socks…me, I buy them from M&S as I know there is NO way I would have the patience. I take my hat off to you for your experimenting with them. Late for my WOYWW visits!